Thank you for your inspiring Christmas entries last week... it was wonderful to see them all! DEONNA please email me (Pauline) at the yahoo address on the right, and I'll let you know how you can collect your prize! 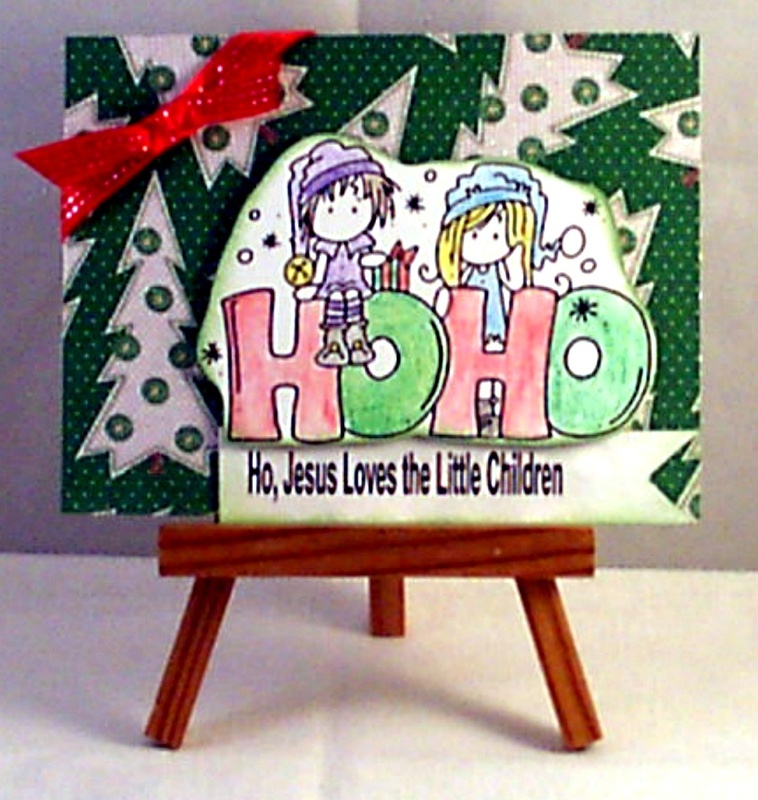 Thank you for sponsoring our Religious Christmas challenge, Clear Dollar Stamps!! 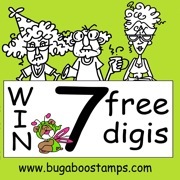 This week our challenge prize for our random winner is provided by the fabulous Bugaboo Stamps! A wonderful prize of SEVEN DIGITAL IMAGES... winner's choice! And... there is a sale going on at Bugaboo until December 26th ... WOW! Do mind that it doesn't include the Daily Deal (which is already an awesome price!) or the Gift Certificates. What a time to stock up on your favourite images!!! Your card creation should show CHILDREN... and perhaps it will even be for a child! Remember our 'twist of faith' your creation should also include a scripture, or quote or an uplifiting sentiment that suits this week's theme. placed his hands on them and blessed them." Our team this week has created with child-ish delight using our sponsor's images.... have a look! 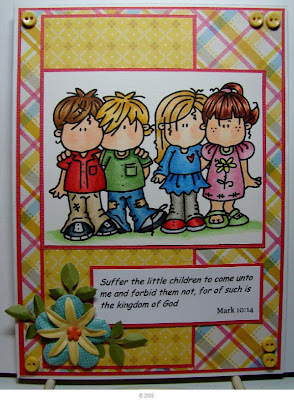 We hope that you will share with us in our CHILDREN challenge... have a wonderful and blessed week! 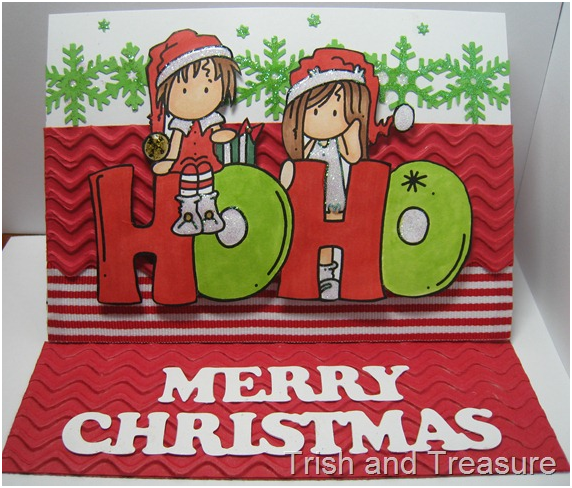 I just LOVE Bugaboo, and was so excited that my card for this challenge matched the theme so perfectly. 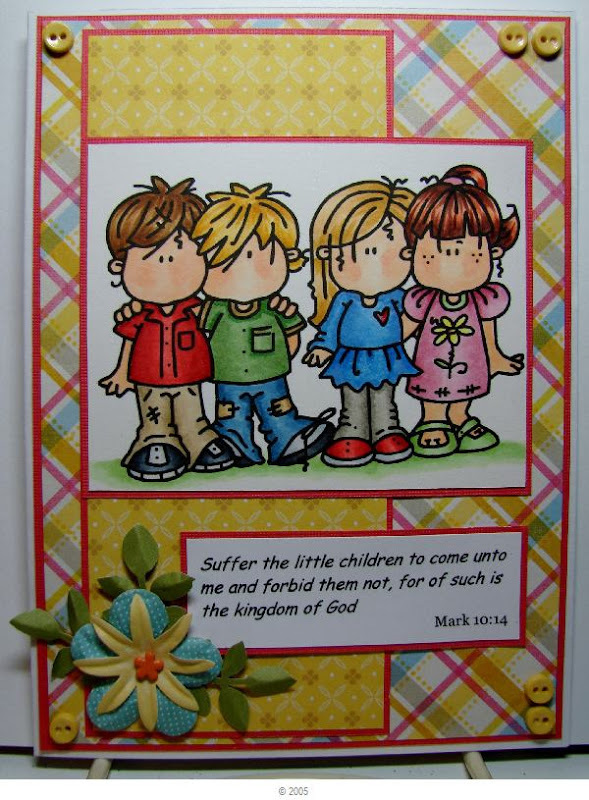 It makes it so much fun when I can share my scripture cards where they are truly appreciated. THanks for a great challenge.